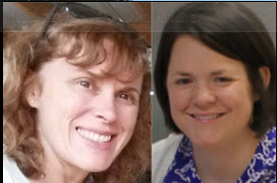 At 1:00pm On 11/9/16 I attended EPIC Online Student and Faculty Preparedness by Alison Consol and Jessica Hatcher at the 2016 USCA NDLW Virtual Conference. To remove learning barriers and better support online student learning, persistence and success, Wake Tech has launched a QEP based on best practices in eLearning called EPIC. A collaborative effort by faculty and staff to develop and implement eLearning Standards, an online student orientation, and a faculty certification program. I enjoyed the beginning of this program, but unfortunately I was not able to catch the entire show, and that was a shame. Presenters were smart, informative, and easy to follow. This entry was posted in Professional Development and tagged alison, alison consol, consol, Hatcher, Jessica, Jessica Hatcher.